Paramjute is a Leading Indian Jute Shopping Bags, Jute Promotional Bags, Cotton Shopping Bags & Canvas Shopping Bags manufacturing and exporting company in Kolkata the hub of JUTE. 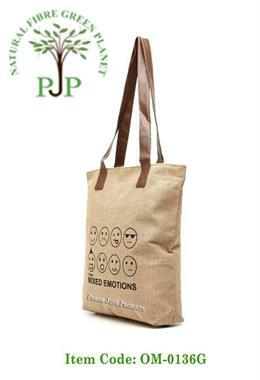 Param Jute Products is an ethical Eco Bags manufacturer, exporter & wholesaler from Kolkata, India. Since we are manufacturer so we are able to provide you fully customised bags within a short span of time. Our main market includes USA, Germany, United Kingdom, Canada, Spain, France, Netherlands, Ireland, Australia, New Zealand, Denmark, Singapore, Russia, South Africa, Italy & Japan. We have many satisfied clients in United Kingdom & United States who buy hessian shopping bags & cotton shopping bags regularly. It is our great achievement that we are making satisfaction to our UK, Europe and US clients with our best quality Eco friendly bags as well as services. We maintain ethical business policies so you can always expect best quality products & reliable services from us! 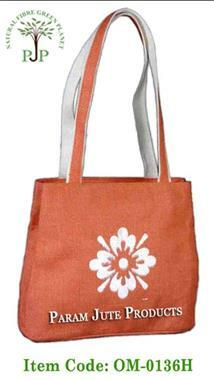 Manufacturers & exporters of quality Jute Gift Bag with floral printing or non-printed in India. 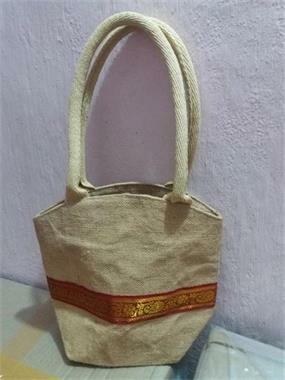 This Gift Bag is made from Eco-friendly jute, a best item for gift purpose. We have various designs of Jute Gift Bags so you can choose as per your own choice. Also you have to see our other varieties Ecofriendly Products. Meer Damestassen aangeboden in deze subrubriek.